A lot of folks start an Etsy store for some extra cash. For Deb Cadovius, it’s a means to go through with her family’s adoption. 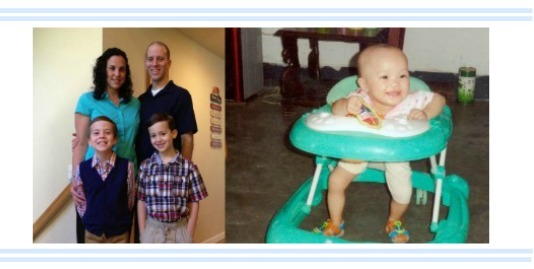 Last year they felt led to adopt a baby girl from China and Cad Bags is helping them bring their little girl, Elizabeth, home. Deb’s husband is deployed with the Navy while she raises funds. They have two sons, Erick and Ethan. She started sewing when her two sons began going to school during the day and she realized how much she loved it. So, she started the shop. Deb’s handmade items are very functional. I’m in love with the Chevron bag below! One item that I know a lot of you will love is the envelope/couponing wallet. For anyone doing the Dave Ramsey envelope budget, this is perfect! 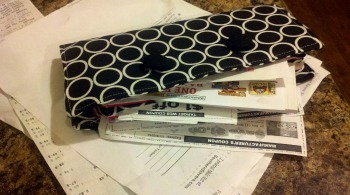 It’s also perfect for the coupons you have cut and ready to use, now they aren’t lost in your purse. 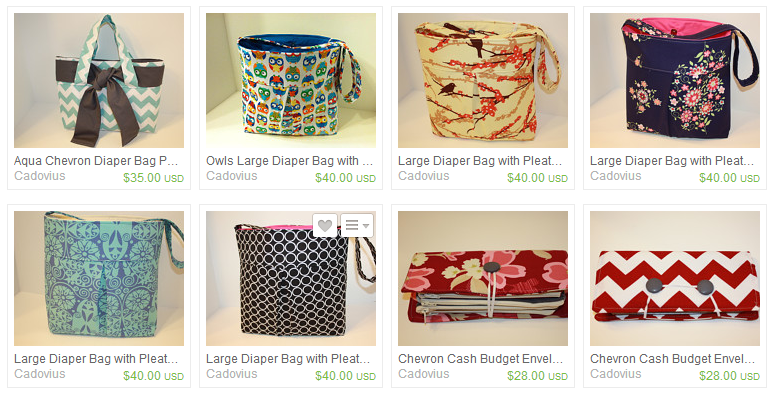 You can choose from diaper bags, purses, wallets and more! There are lots of great designs to choose from, too. Deb sent me a couple of wallets to try out for myself. 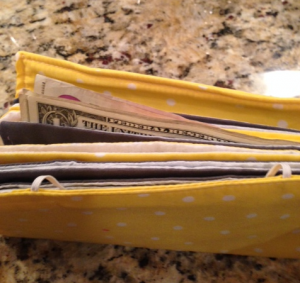 A regular wallet and an envelope wallet. There was actually a delay in shipping so in the end I ended up with two. I put both of them to use though. One for our envelope system and one for coupons. I have explained in the past that I only cut coupons when I need them so this holds all the coupons that are ready for each store will visit that week. They are in separate pockets by store. Two Southern Savers readers will win a diaper bag in a Chevron print! 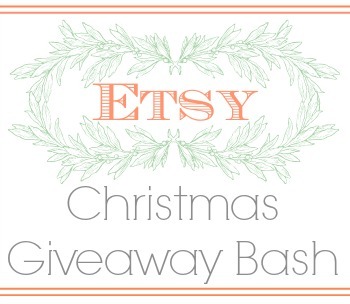 You have a couple of chances to enter, so feel free to enter with one of all of them. 1. Leave a comment below telling me which product you love from Cad Bags. 2. Sign up for the Southern Savers newsletter and tell me you have in a comment below. 3. Follow Southern Savers on Facebook and leave a comment below telling me you have. This giveaway is sponsored by Cad Bags, but all opinions are 100% my own. The winner of this giveaway will be chosen and posted to the Giveaway Winners Page 10/30.